PALMYRA – Conestoga wrestlers left Palmyra in a silver state of mind Friday after their performances at the league tournament. The Cougars collected second place in the East Central Nebraska Conference Tournament with 120 points. CHS edged Auburn by 4.5 points for the second spot in the 15-team event. The tournament featured nine ECNC schools and six non-conference programs. League officials invited Tri County, Tekamah-Herman, East Butler, Palmer, Southern and Friend to the event to create more matchups for students. Trace Widler (106 pounds), Dawson Hardesty (106), Braden Ruffner (113), Cesar Sandoval (120), Keaghon Chini (126), Owen Snipes (182) and Hunter Thonen (195) all finished in the top four spots of their weight classes. 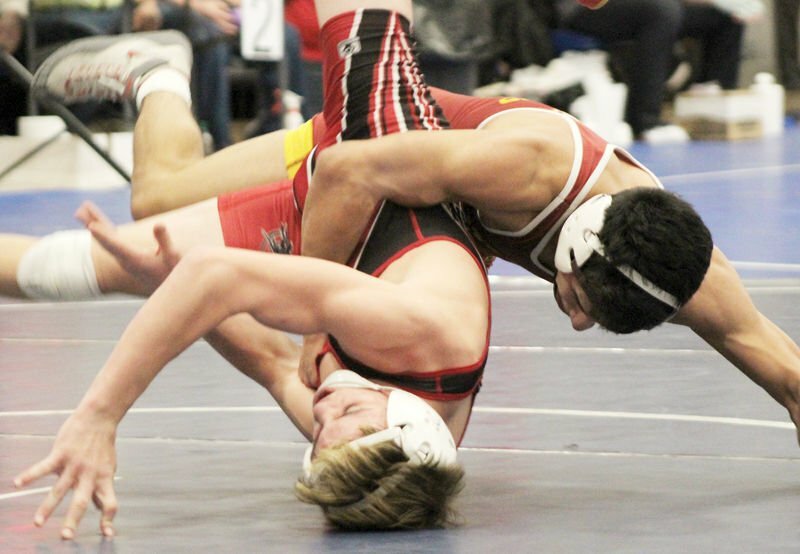 Sandoval highlighted the team’s day with a championship run at 120 pounds. He pinned his first two opponents and stopped Southern’s Doug Rainey 10-4 in the semifinals. He then collected a 5-3 decision over Malcolm’s Ryan Zoucha in the title match. Sandoval upped his season mark to 38-5. Hardesty and Ruffner both earned second place. Hardesty improved to 20-12 and Ruffner changed his season mark to 30-5 during the day. Widler, Snipes and Thonen all captured third place and Chini finished in fourth place. 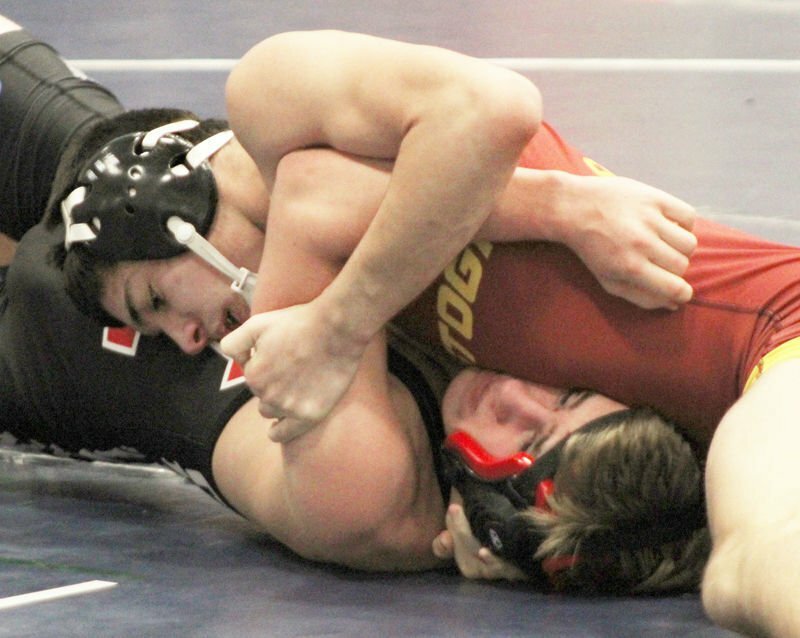 Widler improved to 14-12, Snipes moved to 28-15 and Thonen elevated his mark to 30-10. Chini improved to 28-15 at the conclusion of the tournament. Conestoga will return to action Feb. 8-9 at the District B-3 Tournament. The Cougars will travel to Aurora Middle School for the 12-team event. Action is slated to begin at 3:30 p.m. Feb. 8 and 9:30 a.m. Feb. 9. Aurora will open doors for spectators at 2:30 p.m. Feb. 8 and 8:30 a.m. the next day. Auburn, Aurora, Boys Town, Conestoga, Crete, DC West/Omaha Concordia, Fairbury, Falls City, Hastings, Raymond Central, Wahoo and Waverly are scheduled to take part in the tournament.